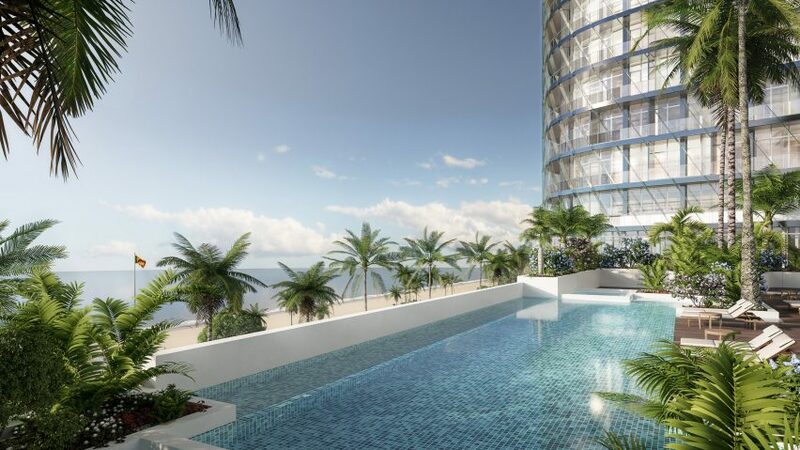 The Gensler-designed Sapphire Residences in Colombo, Sri Lanka, will be connected by a sky bridge topped with a swimming pool, and have interiors by Philippe Starck. US architectural firm Gensler designed the skyscrapers for developer ITC Hotels. The shorter tower will be a 140-metre-tall hotel, while the taller one will reach 224 metres and will be filled with 132 luxury homes. 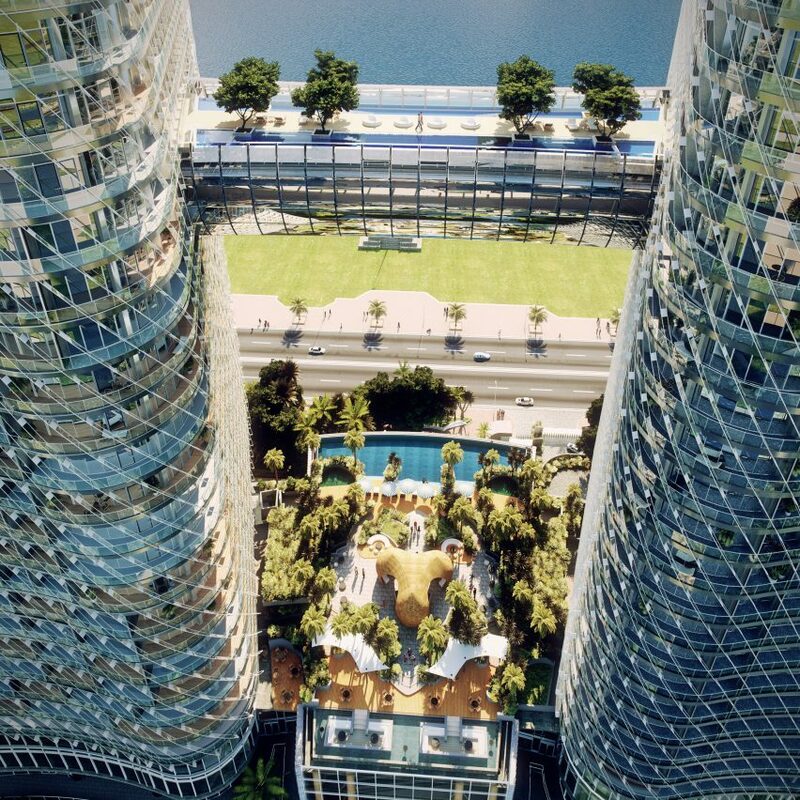 Between the 19th and 21st floors the parallel towers will be connected by a 54-metre-long sky bridge. A bar and lounge will be located on the lower levels, with sun decks and swimming pools on the upper level. 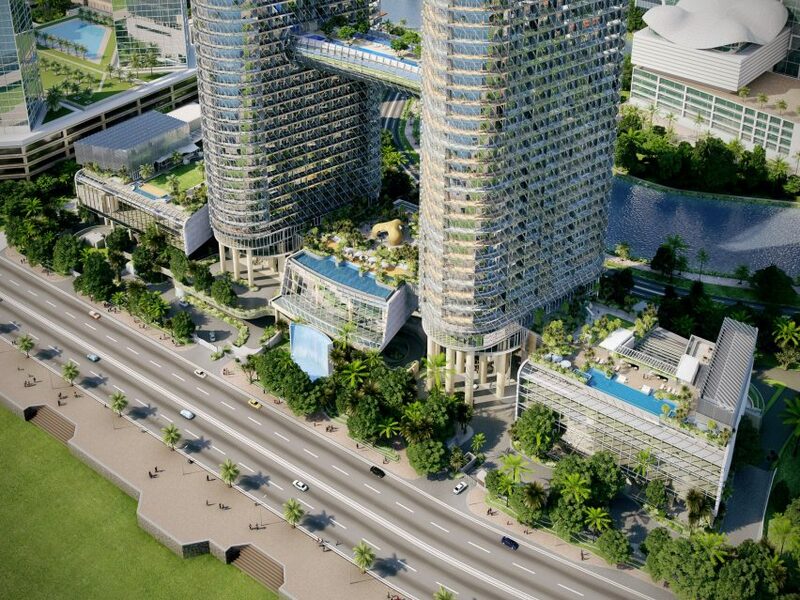 A helipad will top the taller of the towers for VIP guests and residents to use. 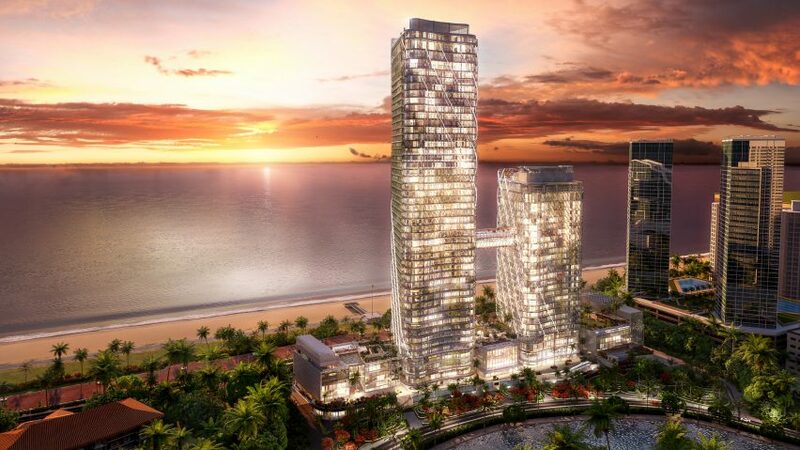 Gensler has used a triangular plan for the two towers, so their two long sides face towards the ocean front, maximising views over the bay. 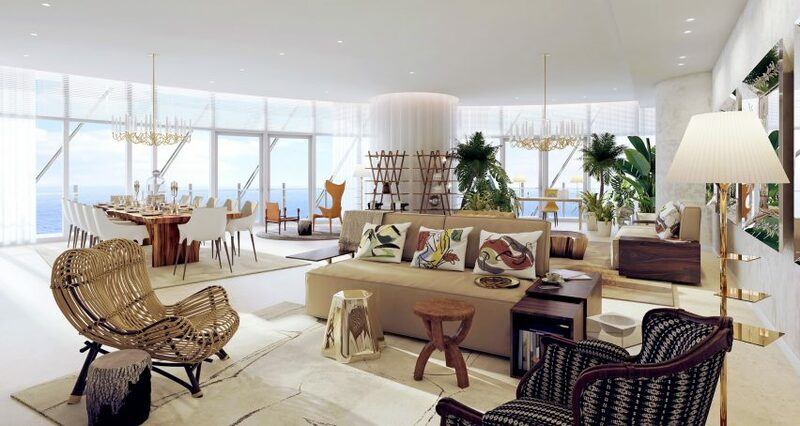 Most floors will have four-metre-high ceilings, rising to five metres for the penthouses that have 180 degree views of the water. The entire structure will have an illuminated exterior at night, so each room will be fitted with blackout blinds to ensure its inhabitants can get enough sleep. Each apartment will come pre-wired for a home automation system so that they can connect to the internet of things and be fitted with technology such as voice recognition room controls. Gensler is the architecture firm behind the Shanghai Tower, China’s tallest skyscraper. 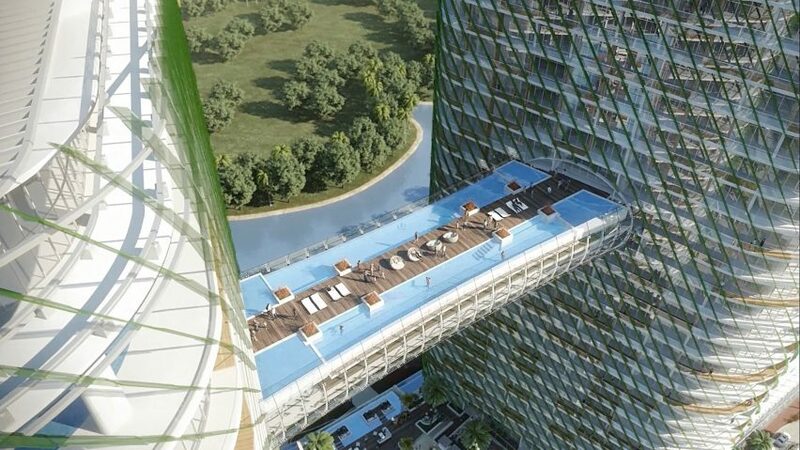 Other notable projects include a glass skyslide that will be suspended 304-metres in the air on California’s tallest tower, and a bone-shaped swimming pool for dogs at JFK airport. 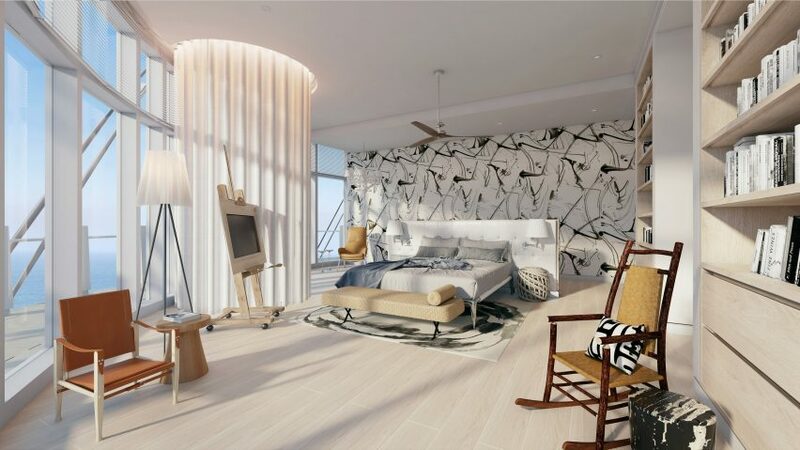 French designer Philippe Starck is working with London-based interior designers Yoo to develop four different looks for Sapphire Residence homeowners to choose from. Those who choose the Nature look will have white oak floors, light fabrics and organic materials. The Culture style features darker and richer materials, with an eclectic mix of furniture. Classical interior will have strong colours and dark wood finishes, whilst the Minimal look will focus on simple layouts. “I wanted to create fertile surprises to awake people, to create conversations, to create interactions. A place where Us humans are at its heart,” he continued. Starck has also designed interiors for the world’s first commercial space station, and a charging port for Bentley’s first hybrid car. 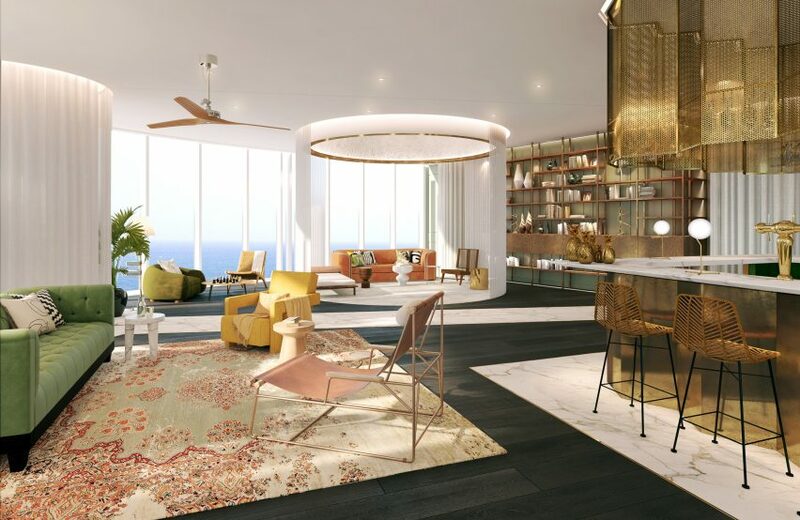 Yoo and Starck also collaborated on the interiors of the residents’ club facilities, which will include multiple swimming pools, a spa, gym, yoga room, sports courts, as well as a cinema, lounge and library, and a “hobby studio”. The tower, which has already achieved a pre-certification rating of platinum from LEED, will have offices and shops in the base. The development is currently under construction and due to complete in 2021. Rotterdam studio MVRDV are currently building an office block in Colombo with a cut-away facade and stepped terraces, whilst SOM is masterplanning an entire district on the capital city’s waterfront. Lila Fix It is a global, multi-platform media and entertainment company. Powered by its own proprietary technology, Lila Fix It is the go-to source for tech, digital culture and entertainment content for its dedicated and influential audience around the globe.